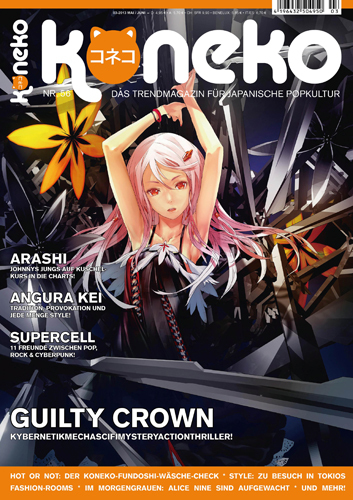 I have already lamented the demise of German manga anthology magazines on this weblog (Daisuki, the last monthly anthology, was cancelled in 2012). But what about journalistic periodicals that write about manga? As far as I know, there are two German-language magazines of potential interest for manga readers: Animania (or “AnimaniA”) and Koneko. The launch of Animania predates that of Koneko by 10 years: first published in 1994, Animania is probably the earliest German magazine on Japanese pop culture. As the name suggests, its focus is on anime rather than manga. However, on average more than 20 of its pages are exclusively devoted to manga (including artbooks). Additionally, a lot of manga articles refer to their anime adaptations and vice versa. Apart from manga news and reviews, the latest issue (06-07/2013) even contains short interviews with manga authors Tite Kubo, Kanan Minami and Mikiko Ponczeck. Animania covers other areas of Japanese pop culture as well, but not as extensively as Koneko (with the exception of video games, which are given slightly more coverage in the former). Koneko covers a lot of different areas of Japanese pop culture, which reduces the space given to manga coverage. A typical issue contains only 13 pages on which manga are the sole subject (although there are many other pages on which manga is one of several subjects). This includes drawing guides, portraits of fan artists, and also 6 pages of a dōjinshi, an original comic submitted by a reader (arranged on 3 magazine pages). Generally, Koneko seems to reach out more to its readers, the vast majority of which appear to be teenage girls. 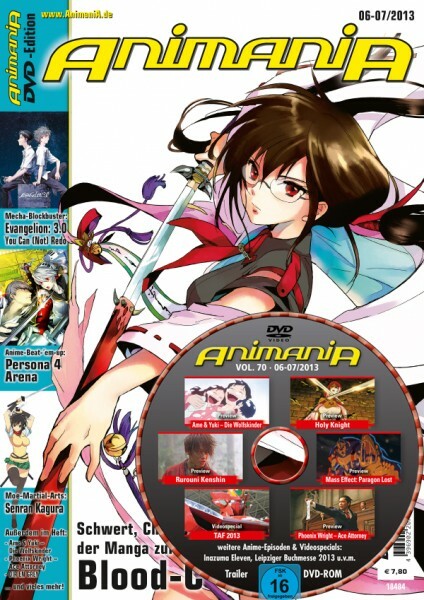 Animania on the other hand makes a somewhat more mature impression, and is more focused on the anime/manga scene. For this reason I find it more appealing than Koneko, which I would only recommend to someone who is also interested in J-pop. Still, it is a pity that, after the cancellation of MangasZene in 2007, there is no German magazine in which manga are the primary topic, and not just one small part of a purported all-encompassing fandom of Japanese pop culture.